Each weekend at District Church you’ll find a relaxed and friendly atmosphere with exciting, contemporary worship music and a practical, relevant message. You’ll also be encouraged to join our live event in the You Version Bible app where you can take notes in order to help you make the most of each week’s teaching. Children are well-cared for in a loving, quality nursery and preschool environment and our fun-filled Kid’s District service. If you are visiting for the first time, we will not embarrass you, have you stand up, or ask you to give money. We know that many people want to check out the church and “be anonymous” for awhile—and that’s fine with us! Come in, enjoy the relaxed atmosphere, and see if this is the church for you to make a difference with. What do you wear on a regular basis? That’ll work with us! Come in what is comfortable for you, because District is not about what you look like or what you wear. Our church campus is located in the heart of El Dorado Hills on top of the hill right above Town Center. 7000 Rossmore Lane El Dorado Hills. We have a dynamic mid-week service on the first Wednesday of every month called First Wednesday! This night is dedicated to an extended time of worship, communion, Bible study and prayer! It’s the mid-week boost for your mid-week slump! 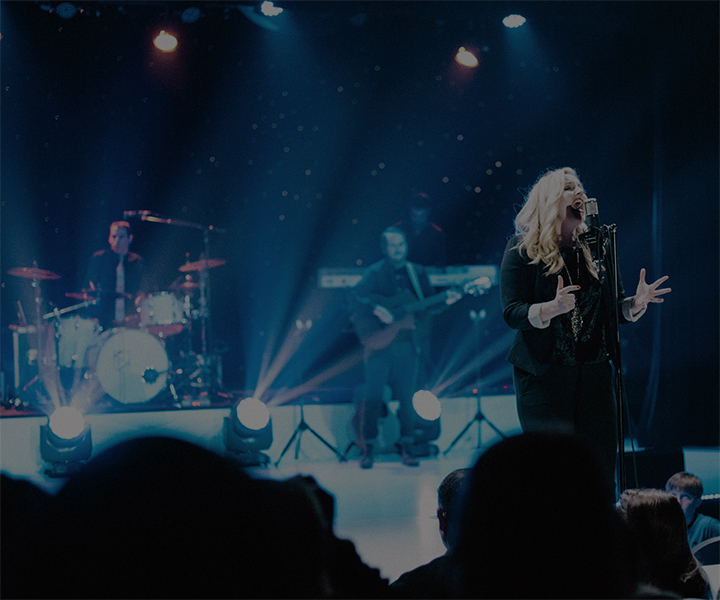 If you love to worship…this night is for you! At District your children are a top priority and that’s not just talk, you can see it for yourself. Our nurseries are clean, safe, and staffed with loving workers. We offer a dynamic children’s ministry called Kid’s District as well as life-changing ministry to students from junior high through High School. Church is all about others! You’ll never experience the best of what a church community has to offer unless you’re invested relationally. There are many ways to do this and we’d love to point you to a few. Our Growth Track is a great way for you to meet others and also get to know the staff. Joining the Dream Team is also an amazing way, because there you get to serve with others and build real and genuine relationships in the process. Lastly and most importantly, Small Groups will change your life if you let them. This is the best way to grow in your faith journey of knowing Jesus. A small group also makes a big church stay small. We will always encourage you to do life with other people! Small groups are an important part of District Church; in fact, you haven’t fully experienced the church until you’ve experienced our small groups. Groups allow you to meet other people and develop relationships that will spur your relationship with God. As District Church grows, groups allow us to “stay small” and connected. Groups are available for all ages and interests—there’s bound to be one that’s just right for you. Learn more about why we’re big on small groups, or find a group to visit in our directory. Our small groups meet in 3 semesters; Fall (10-13 weeks), Winter/Spring (10-13 weeks) and Summer (6 weeks). One of the easiest things to do at District Church is to participate in a small group. Groups meet throughout our region and provide a place for Bible study, fellowship, and support. Wherever you live, there’s a small group near you. Check out our online directory and visit a group this week.